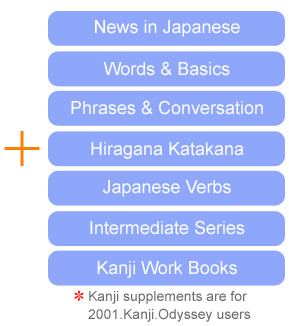 We provided various materials for learning Japanese language online. 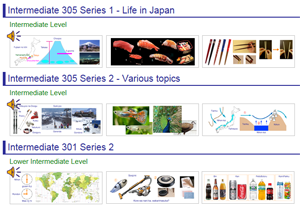 Our materials cover from the basic level to the intermediate level. 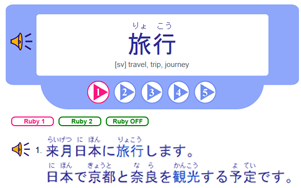 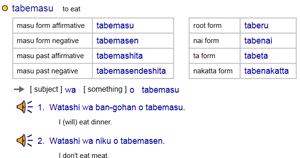 Most materials are written in three scripts, Romaji, Hiragana Katakana and Kanji. 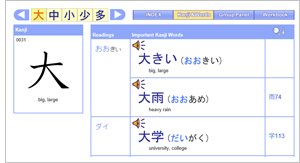 Conversations, example sentences and vocabularies are all voice-recorded. 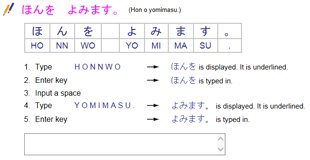 Non-Japanese keyboard like Japanese people do.